Quickly create good looking streams. 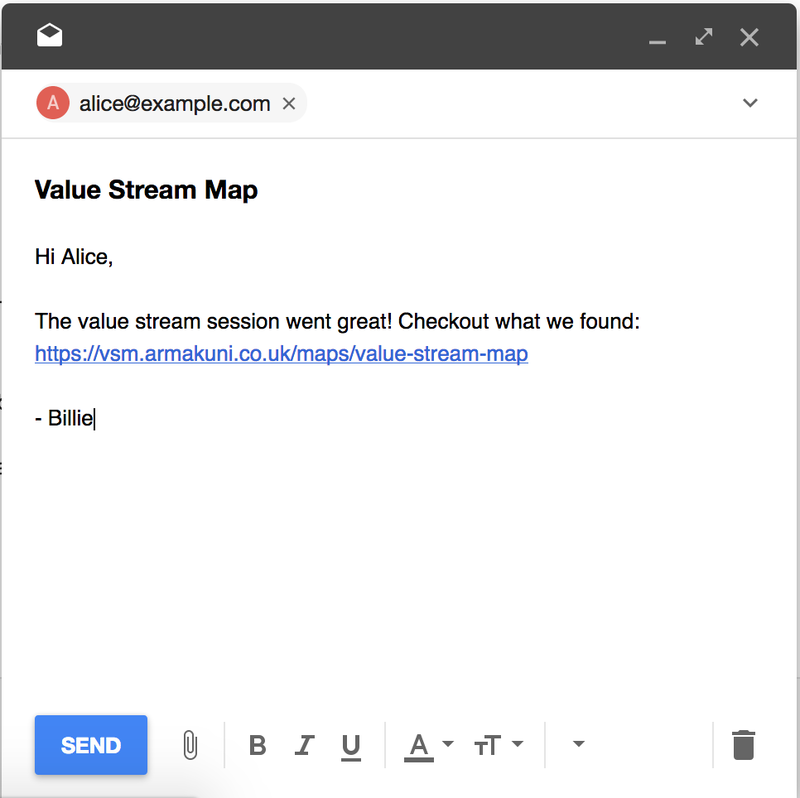 Value stream maps can be hard to make visually pleasing without spending a long time with a graphics app. This takes out all that effort and allows you to focus on transforming your organization. Save yourself from lots of calculation. We will generate you both activity ratio for processes and summaries for you. No more tedious calculation. We also highlight the problem processes making it easy to know where to target your next steps. Simplify tracking your progress towards your future stream. We allow you to create multiple versions of a map. You can track your progress and compare between different versions making it easy to see progress made. title: "VSM: Path To Live"
description: "A user requests a specific feature"
Integrating with existing processes is simple with a easy to read text based format. Maps are created and updated using a command-line tool, reading a YAML based format. This means it's easy to integrate with existing automation, and you can even keep your maps in a VCS. Socialise your maps in a way that carries impact. With photographs alone it can be hard to really highlight where the problems are coming from your Stream Mapping Session. With the clear statistics, and easy to understand UI it is easy to show anyone in your organisation your Value Stream Maps.